Usually, when we want to request specific information from a RESTful Web Service, we usually use requests like “/student/2” or “/product/5”, where 2 and 5 are the values can be changed depending on demand. 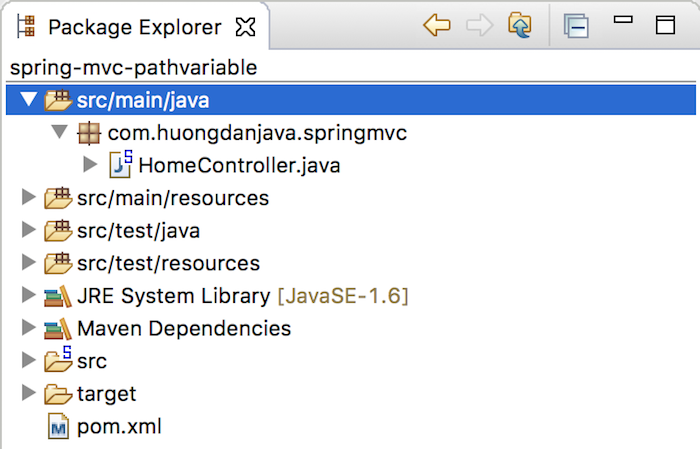 To construct such requests in Spring MVC, we need to define the variables in the URI request and use the @PathVariable annotation to bind the method parameters to these variables. How is it in details? Let’s find out in this tutorial. If you do not know how to create, let’s follow the instructions of this tutorial. Then, if you refresh the URL, the result is still the same.